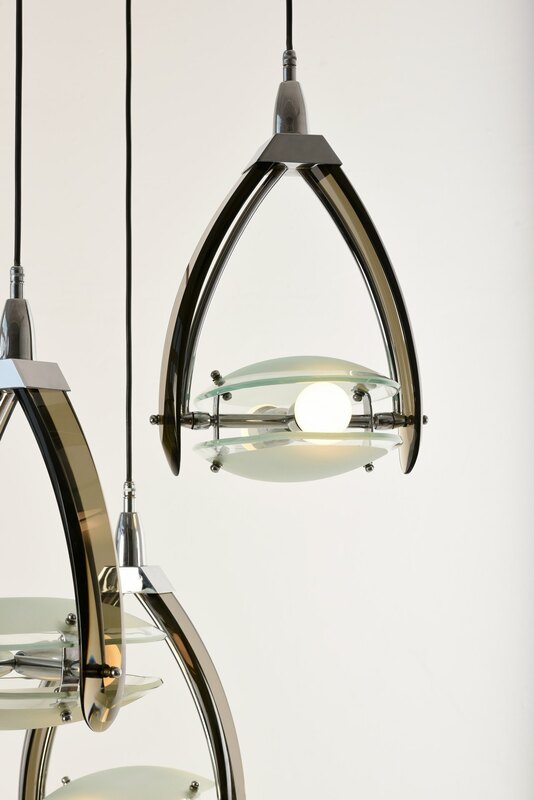 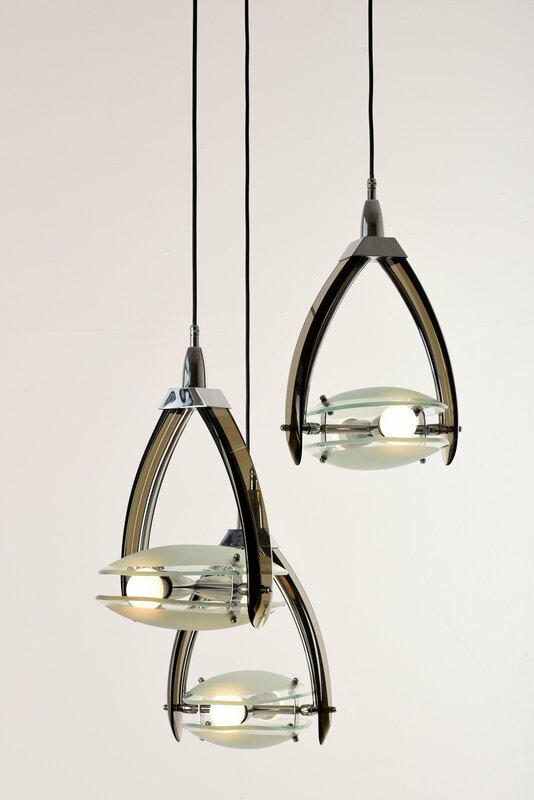 Chromed and lacquered metal mounting, ground and polished colored glass, partially matt. 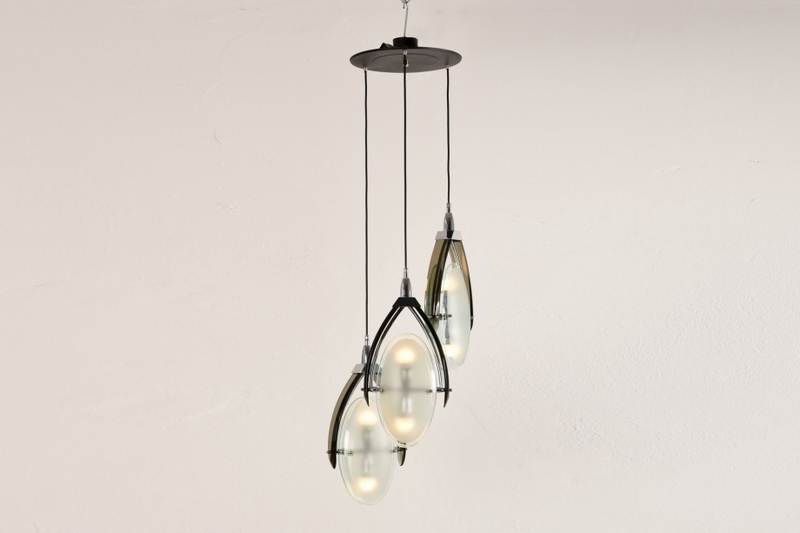 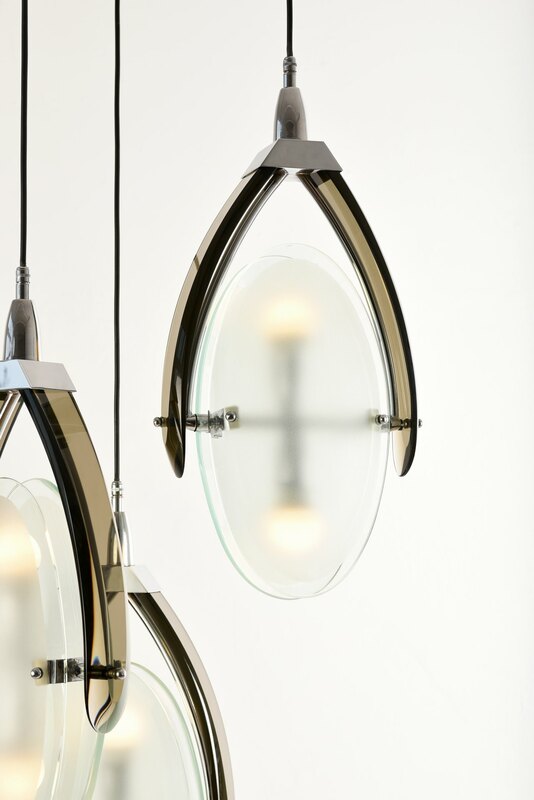 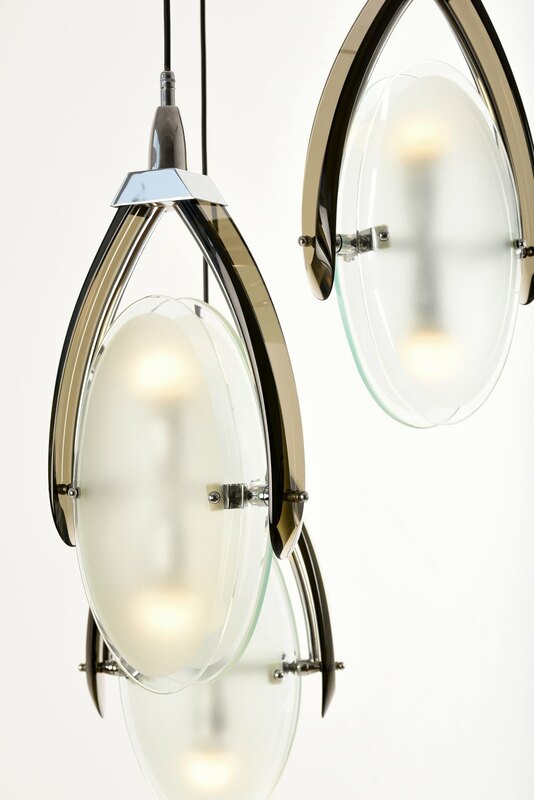 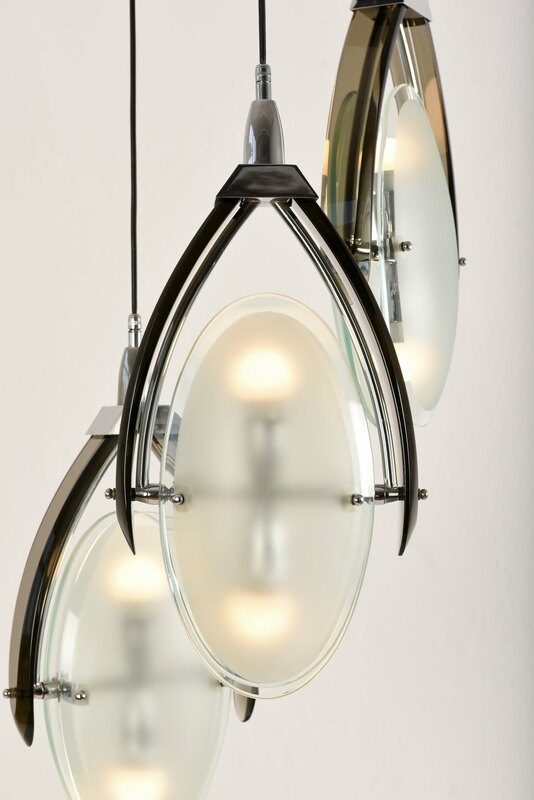 This Italian ceiling light is made of polished and frosted glass. 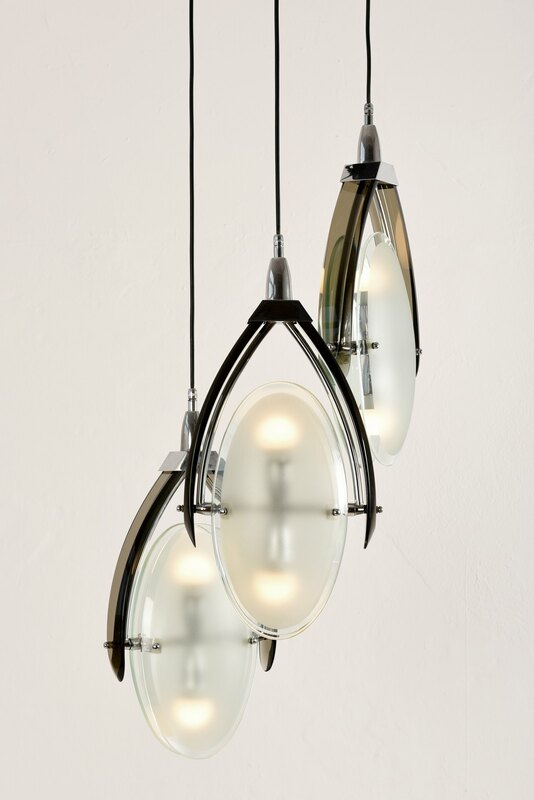 It was produced with great care and in the best quality in Italy in the 1960s. 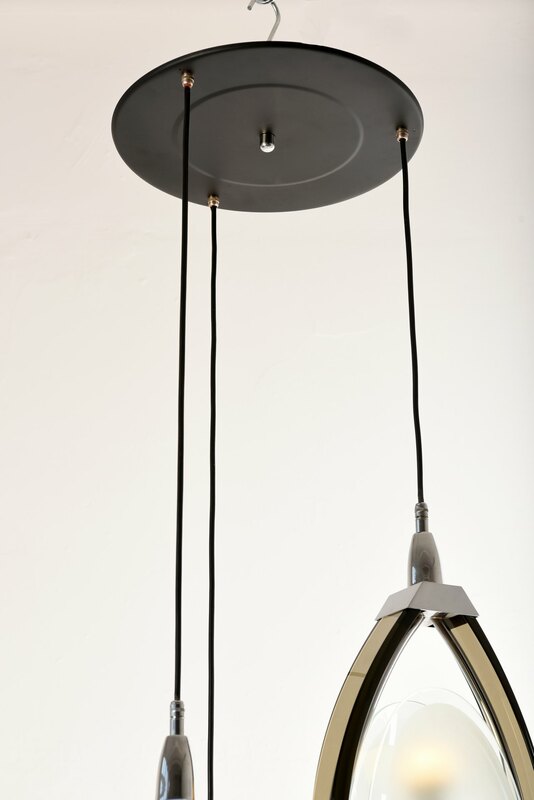 That is why the manufacturer is probably FONTANA ARTE, the best of the lamp factories in Italy.